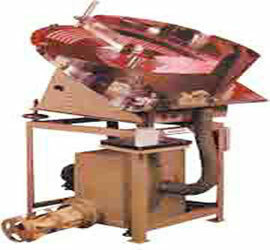 Hi-Tech Semi Automatic Counting & Filling Machine is very useful to Pack Tablets & Capsules in Loose form. It is very simple , maintenance free unique model for high accuracy & Low Labor cost . entry of every production to the disc holes. Phase ~AC 1 HP motor 1440 RPM. •OUTPUT: 2 to 5 Fills per minute (Depend upon the product).